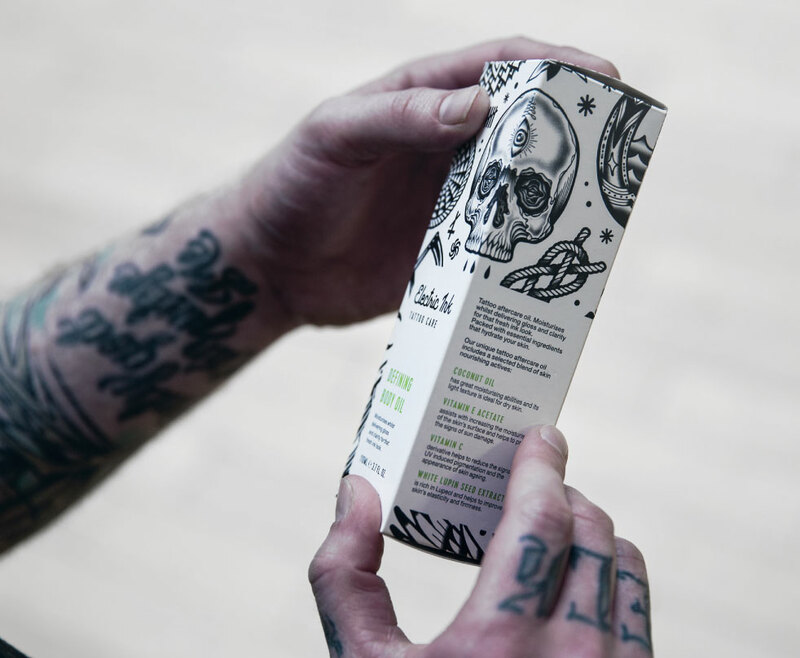 All of our products are made with the highest quality ingredients and are vegan-friendly – we worked day and night for over a year with premium chemists and tattooists to ensure we could deliver a specialist tattoo skincare range that would care for those who love ink. LIFTONIN-XPERTTM helps reduce signs of skin redness, inflammation and supports the maintenance and intensity of tattoo ink. INCA INCHI OIL obtained from a Peruvian Amazonia plant. It helps to improve skin elasticity and maintains skin hydration. VITAMIN C helps to increase skin suppleness. It also helps to protect skin from sun damage, reducing skin roughness and signs of inflammation. AMINO ACID acts as a skin conditioner with pH-regulating properties. It improves clarity of the skin and evens skin tone. VITAMIN C derivative helps to reduce the signs of UV induced pigmentation and the appearance of skin ageing. WHITE LUPIN SEED EXTRACT is rich in Lupeol and helps to improve skin’s elasticity and firmness.